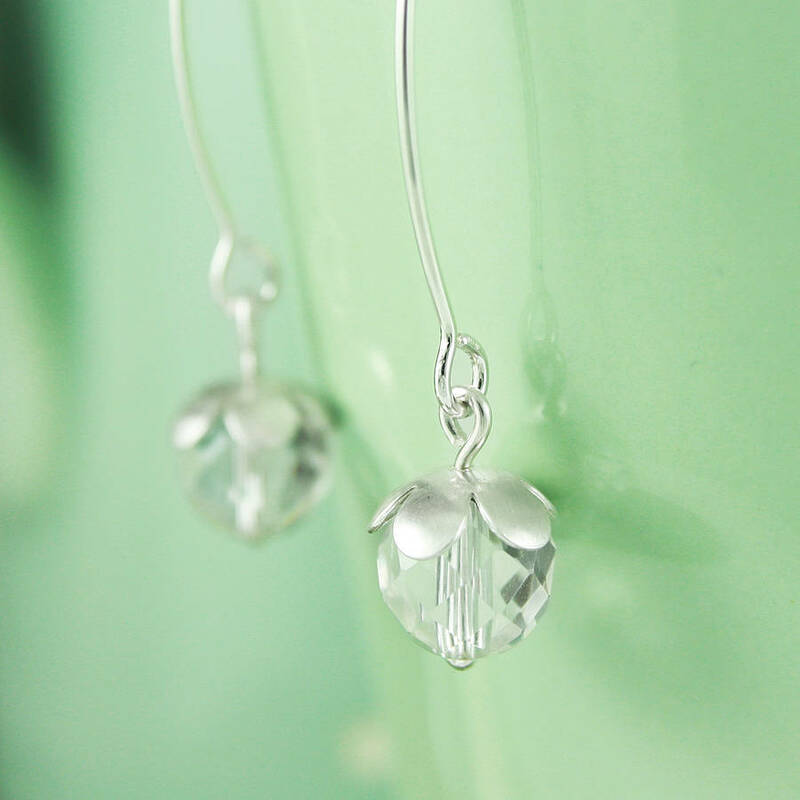 A beautiful pair of silver and crystal drop earrings on long wires. 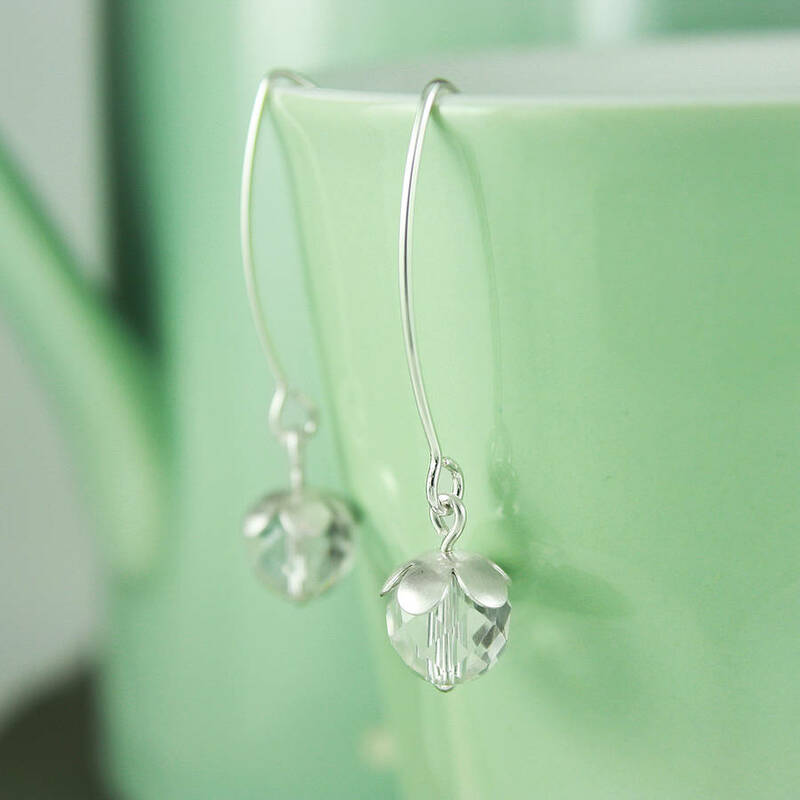 These pretty silver cherry blossom flowers dangle lightly from long silver wires which pass through the earlobe and are visable hanging behind. 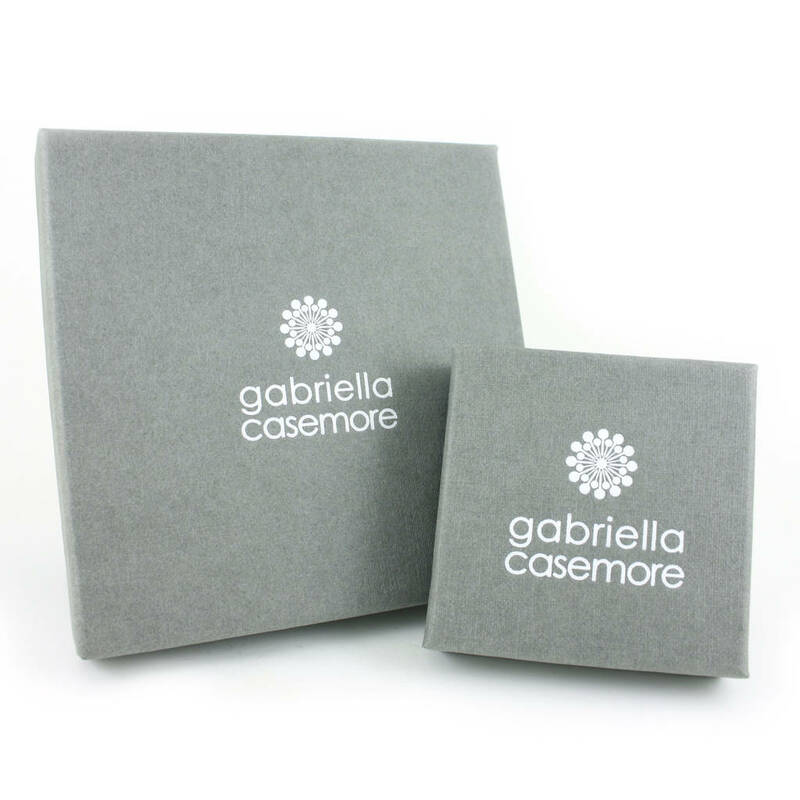 The crystal beads have a faceted cut surface so that they sparkle as the light passes through them. Made from solid sterling silver. This is high quality British sourced silver and as such does not contain any nickel. Care instruction kit included. The flowers measure approximately 0.9 cm across and the overall length of the earring, including the flower, is approximately 3.3 cm.